Are You Paying Too Much for Unified Communications Services? Does your monthly UCaaS bill seem a little different than what you expected during initial talks with your vendor? Does it also seem a bit expensive for what you're actually receiving? Despite the fact Unified Communications as a service (UCaaS) vendors may promise more transparency in billing, your bill may appear to be shrouded in mystery. Between complex codes, "per user rates," and a number of charges for each aspect of your communications tools, chances are you couldn't possibly commit the time to deciphering the charges - even if you wanted to! This means you could be overpaying without even realizing it. The Federal Trade Commission (FTC) website reports they receive tens of thousands of consumer complaints about confusing bills each year. As a result, they've established "truth in billing" rules for wireless companies, which demand that customers have a right to "clear, factual, plain language descriptions of services for which you are being billed," as well as paths to dispute or collect more information if needed. Unfortunately, UCaaS vendors are not held to the same standards as wireless companies when it comes to customer rights. The result is a market where value doesn't always translate into the price you see on your bill. While it may not be legally required, UCaaS customers still have a right to understand what they're paying for in easy-to-understand terms. Remittance Information: vendor contact information. Statement Information: your contact information, account number, total amount due, due date, and past-due charges. Customer Messages: a space dedicated to relaying information about updates to your service on an as-needed basis. Usage Pooling: A tool intended to simplify the bill, which rolls usage across thousands of users into a single price for VoIP service. While this can be optimal for some organizations, it can result in extreme confusion for others who have complex voice needs, such as contact centers, or multiple locations. Outcome-Based Billing: A model in which organizations with flexible staffing needs may appreciate bulk discounts on the next month's service for the past month's usage. For example, if your phone lines "tip" over 1,000 users, you may notice a drop in rate for each seat. While relatively rare, this model can appear highly-confusing on a bill. Most UCaaS subscribers utilize "pay as you grow" or "pay as you go" pricing, which should translate into an agreed-upon price for each phone line, software license, and other services within the organization. However, even if you're using this model, it doesn't mean it's clearly displayed on the bill, or the total amount due is accurate. In the UCaaS realm, value does not always increase as price goes up. While UCaaS is typically considered a highly effective way for organizations to save money on their communications tools, few can afford the risks of a cut-rate service. Ultimately, your organization doesn't want to be in a position of spending an amount that does not reflect the value received from your vendor. Some UCaaS vendors don't have their own facilities. Instead of operating their own telco switches and data centers, they lease network space from other providers. Not only can rented network space result in higher monthly costs due to double markup, but it may also result in lower quality. Vendors who don't own their network have less ability to control the security, reliability, and quality aspects of their service. It also makes the troubleshooting process more difficult. Facilities-based providers own and operate their own telco switches in their own certified data centers, rather than leasing from other providers. This adds an extra layer of security and reliability. Vendors that manage and own their data centers also tend to have lower downtime and fewer problems with jitter and call quality. Sign #2: Who's Connectivity are They Using? While some vendors use their own connection, others lease the circuit from larger organizations, or rely on lines dedicated to the public internet. In general, a circuit that's not owned by a business-class UCaaS vendor can result in service disruption and quality drops when demand for public Internet bandwidth increases. For more information, check out 7 Reasons Unified Communications as a Service on the Public Internet is a Mistake. The less control your UCaaS vendor has over their circuit and network, the less quality of experience guarantees they're able to offer their customers. If your connection is shared with public internet lines, your vendor can't control the fact the Internet traffic during the workday peaks in the 10 am to 2 pm time slot, even if it causes jittery connections and dropped calls for your contact center. A lack of direct connection can also cause security risks, and diminish the extent to which you're able to access cloud services on-demand. 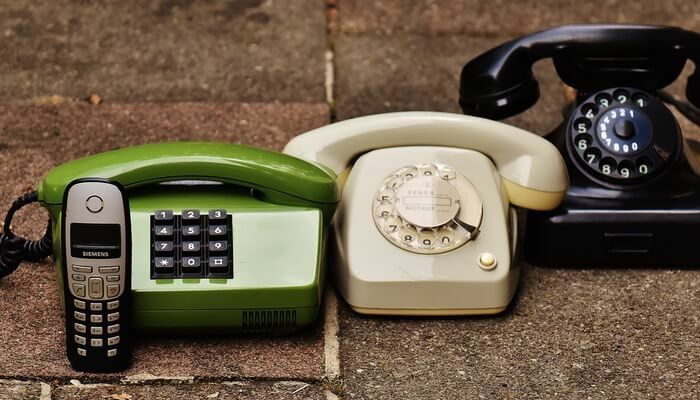 Businesses choose UCaaS over plain old telephones (POTs) and other old school communication tools because they want transparency around quality and their network. They choose smaller UCaaS vendors because of a perceived commitment to quality of the customer experience. If your vendor is really just reselling leased network space and circuits, you may be paying an excessive amount without appreciating much value. The solution isn't to spend even longer each month squinting at your bill. It's to go directly to the source, which is a UCaaS vendor who can provide a direct connection and high-quality network resources that aren't shared with public internet customers. By selecting a vendor whose commitment to high-value UCaaS is totally transparent, you can reduce the worries that you're not paying for what you're really receiving. With decades of telecommunications experience, Atlantech Online is committed to providing direct access to leading UCaaS services. To learn more, click here.